Mali has been in the news recently for all the wrong reasons. The internal conflict is tearing the country apart, with approximately half a million people displaced according to the latest United Nations estimates. With elections set for a couple of months times hopefully relative stability will be restored or at least an end to fighting and reported human rights abuses, but things do not look great. 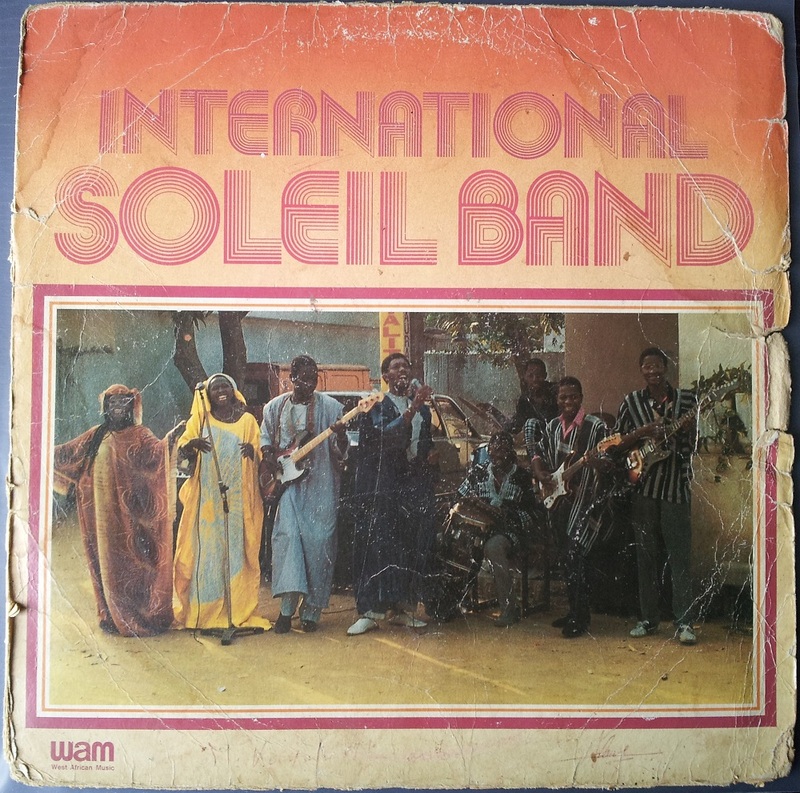 In these troubled times it is important to focus on what makes Mali great; namely the music, which is some of the best in the world. 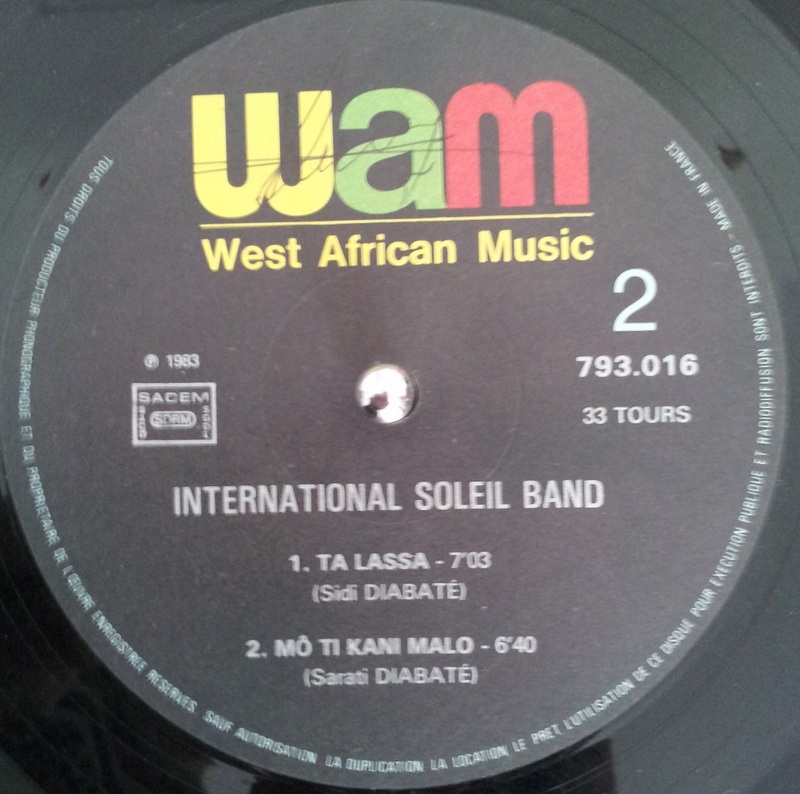 Today’s selection is a slice of Malian disco from the early 1980’s by the International Soleil Band. 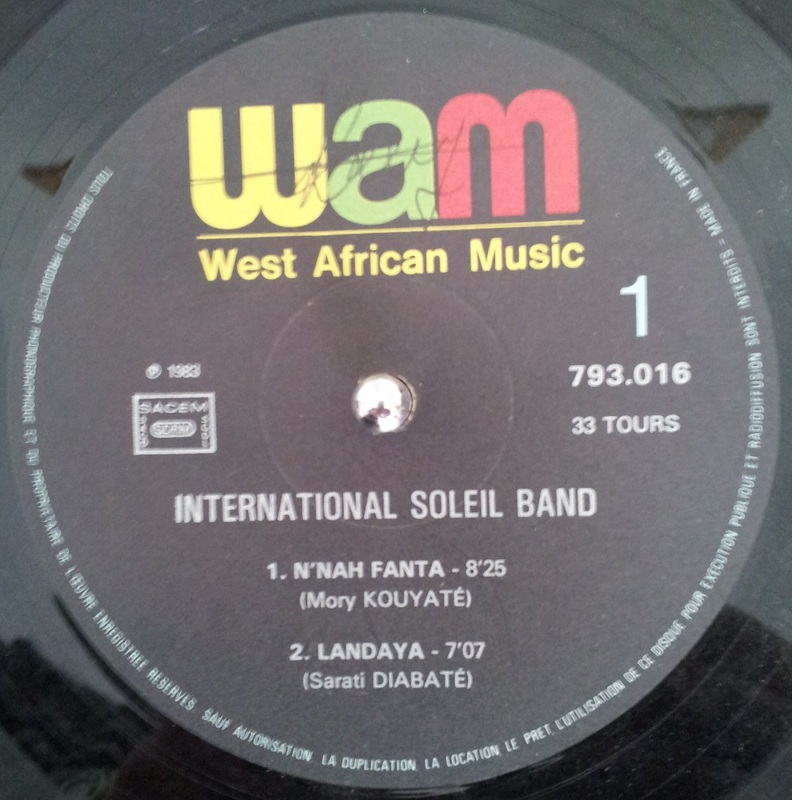 The great guitarist Sarati Diabaté “dit Vieux” is credited as being the band leader and the organ is played by Ivory Coast musician Houon Pierre, who also produced and was responsible for the sound engineering on several Badmos releases. 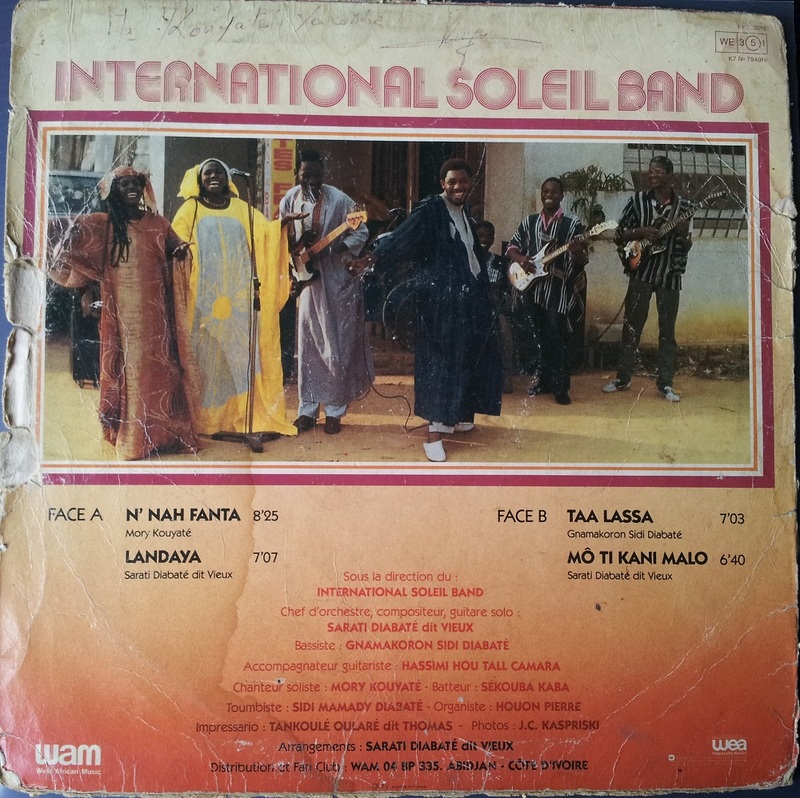 His organ solo on today’s track Ta Lassa, is spiritual, and I urge you all to get to your knees if you can stop dancing! Diabaté’s beautiful guitar is just incredible and with the deep vocals the song explodes, not letting go, sending waves of shivers down the spine. Musical styles evolve and change, and out of the rubble a new music is often born. Highlife was big in Ghana from the late 1940’s right up until the late 80’s. During this period the sound developed as new electronic instruments came to the fore and the sound moved away from early Palm-Wine style of E.T. Mensah towards a more modern sound, that made use of electric guitars and synthesizers.The influence of America music moved the genre further away from its traditional roots and more toward Funk, Jazz and Soul. 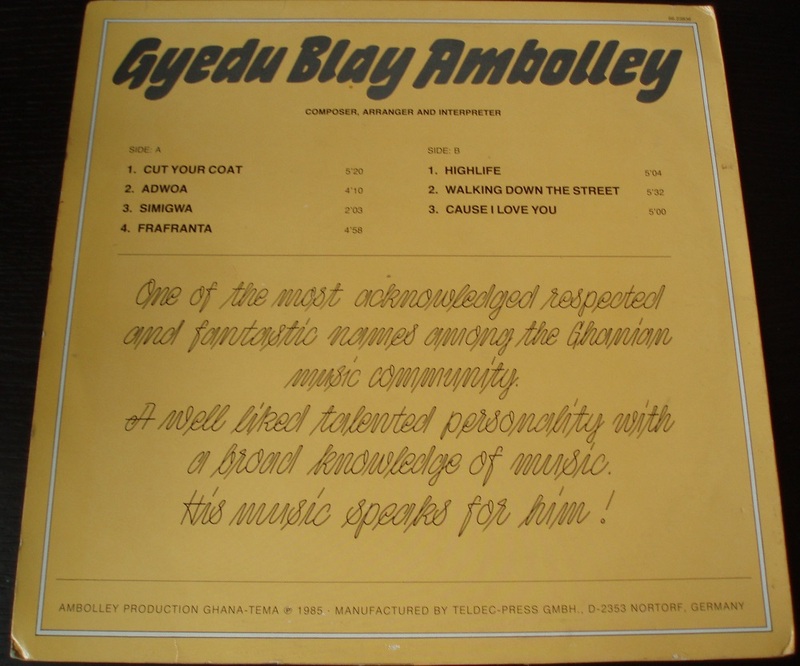 Ghanaian musician Gyedu-Blay Ambolley is often named as an early pioneer of the most popular music in Ghana today, Hiplife, which mixes R’n’B, Jamaican Dancehall and Hip-Hop with Highlife. His 1973 track Simigwado, contains arguably the earliest recorded Rap, that was to later become so popular in Hiplife. 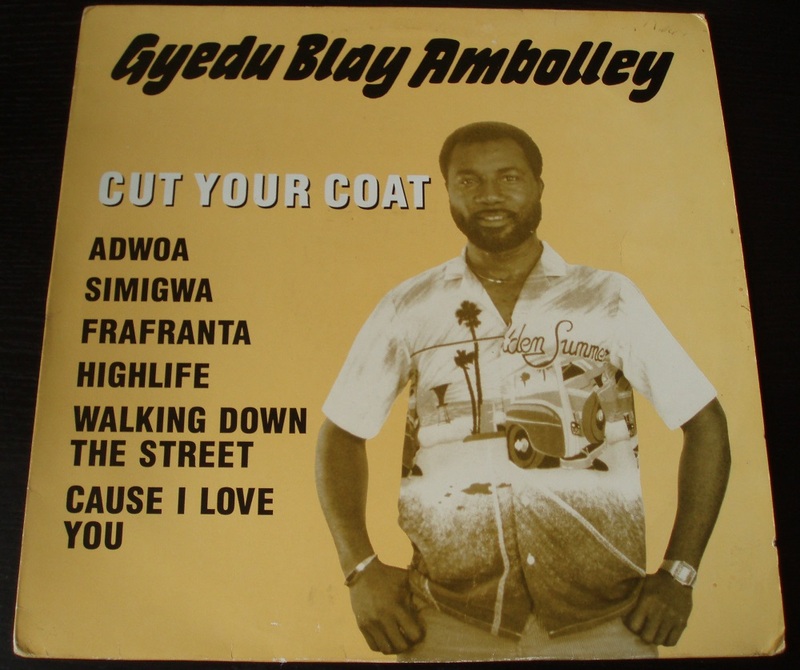 In the late 1960’s and early 1970’s, Ambolley started playing with legendary guitarist Ebo Taylor in The Uhuru Dance Band, a more traditional Highlife band, and The Apagya Show Band, which explored the Funk sounds of James Brown. His voice is well suited to this style as he is able to produce smooth soulful lines as well as gruff and high-pitched call and response vocals. Both Taylor and Ambolley eventually went their separate paths to to record individually, and both are still active today, with Taylor bringing out his latest album in 2012 and Ambolley about to release an album collaborating with the biggest names in Hiplife. 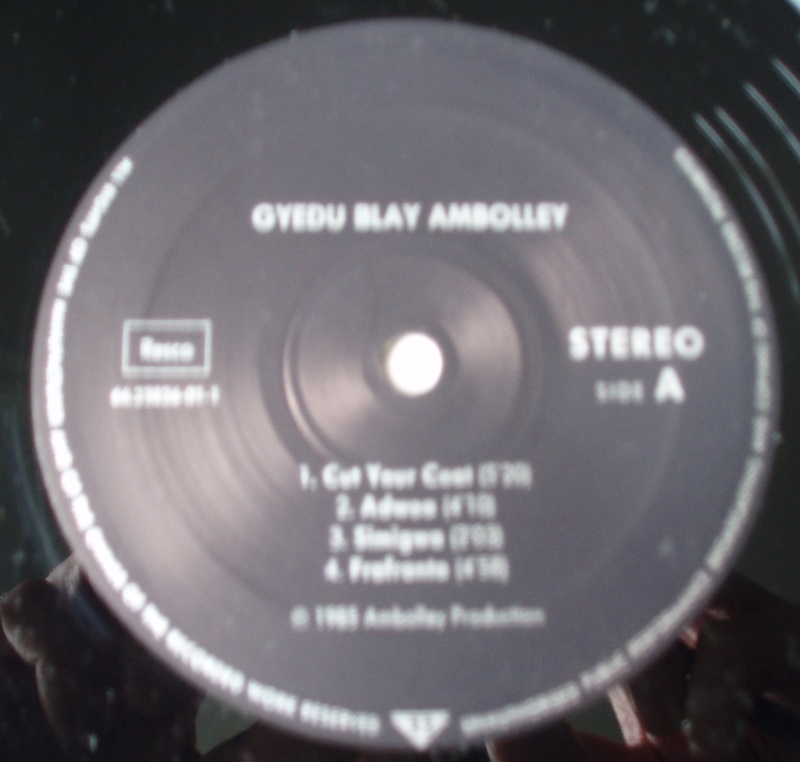 Today’s selections are from Ambolley’s rare 1985 LP Cut Your Coat. The track Highlife is pure disco and demonstrates his vocal range. Walking Down the Street is a great smooth funk track that gently simmers. 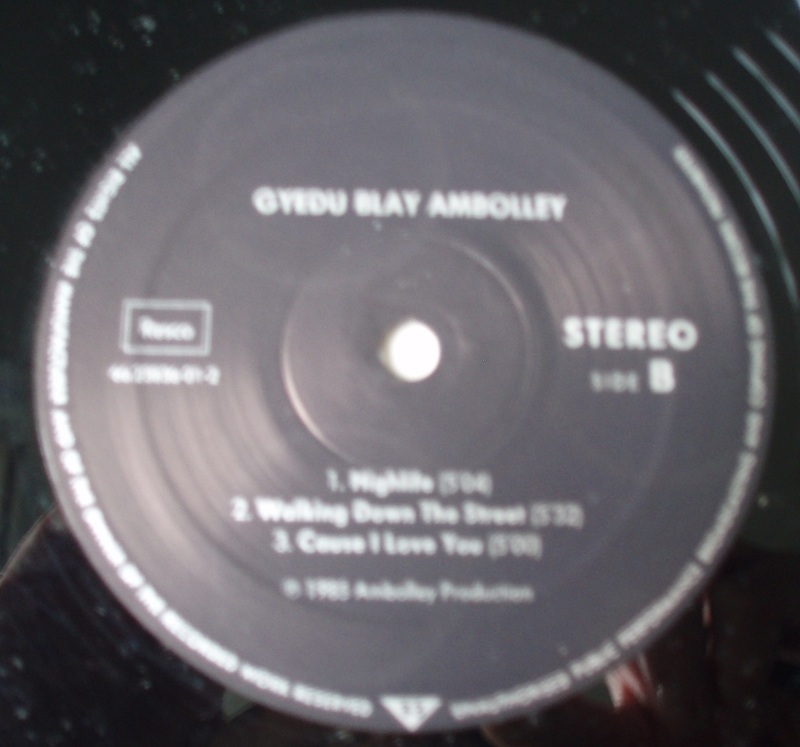 For a wonderful interview with Gyedu-Blay Ambolley, where he talks about Ghanaian music and his career have a look here.